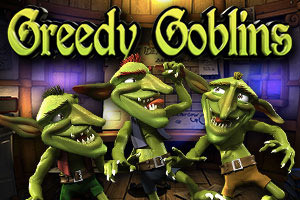 Greedy Goblins is a remake of Once Upon a Time. In this scenario, the little green Goblins will guide you through a fantastic world of Fairy, Princesses, and Dragons. Be Careful! These Goblins are very naughty jokers, they want to rob the Dwarfs treasure and they will try to snitch into their tree-house to rob their ideas. You will have fun like a dwarf. Whenever 2 or more GOLD COINS occur anywhere on the reels, it will fall off the reels. Each collected COIN will cause new symbols to cascade in from above. 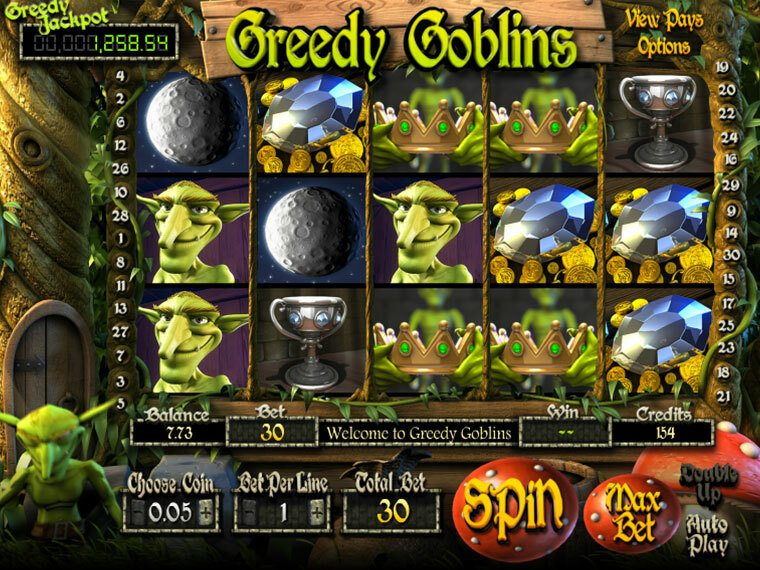 Receiving each COIN on the reels at any given time will result in an extra credit win. Any new combinations that occur as a result of the COIN collection will form new payouts. When the TREE HOUSE Wild symbol appears on the reels, a random number of up to 3 free respins will be awarded. The reel this symbol occurred on will become wild for the duration of these automatic respins. If an additional WILD symbol occurs during this feature, that reel will also become wild for any remaining free respins. No additional free respins will be awarded. If 2 Wild Symbols trigger the feature at once, up to 6 free respins may be awarded! Additional wild reels become active for the following spin and are not wild for the spin you earned them in. Note: Sticky Wild does NOT substitute for the jackpot symbol. When 3 or more ELFANIA signs occur anywhere on the reels, the Free Spins mode will begin! During Free Spins mode, certain icons will be branded with up to a 10x multiplier. Winning combinations containing these special symbols will multiply the standard payout by the displayed multiplier amount! Additional free spins may be awarded during free spins mode! Note: The Jackpot can NOT be multiplied by this feature. This feature is triggered by getting 2x BOOK OF SECRETS symbols on any active pay line on reels 2 and 4. In this classic bonus round, you will control those greedy goblins as they break in and rob the great ideas of their mortal enemies: the adorable and sweet Elfanian nation. Choose various areas on the screen to collect credit awards. Continue choosing locations until the COLLECT prize is revealed. Good luck!